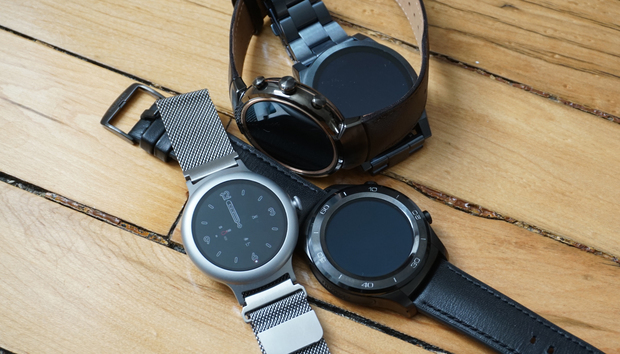 The battle over your wrist just got way more interesting. Late last week Fossil announced that it was selling $40 million worth of its smartwatch technology to Google, giving the Wear OS purveyor a serious stake in the wearable hardware game. The deal may be a relatively small sum compared to the billions Google spent on Nest, but it could be just as important. For one, Fossil is one of the only companies consistently turning out new Wear OS watches that people actually want to buy. But even if this deal doesn’t result in a Pixel watch or Google-branded hardware at all, for the first time Google will have a wearable hardware team under its roof to help drive future design, navigation, and UI decisions. And most importantly, it means that Google is committed to developing Wear OS into more than a one-size-fits-all platform that refuses to adapt to the hardware around it. And it could mean that the first legitimate Apple Watch competitor is finally on the horizon. The last time Google announced such a sizable investment in someone else’s hardware was when it went all in on the Pixel phone. In January 2018, Google spent more than a billion dollars to secure a large portion of HTC’s smartphone design team, including thousands of engineers and a healthy chunk of intellectual property. While it’s likely that the impact of Google’s actual investment won’t be fully realized until the Pixel 4 later this year, you can see how HTC’s hardware team has already influenced the handset. Google’s Pixel phones have shown how a hardware-focused mindet can influence software. The Fossil partnership, while a pittance compared to the HTC deal, could be just as impactful. 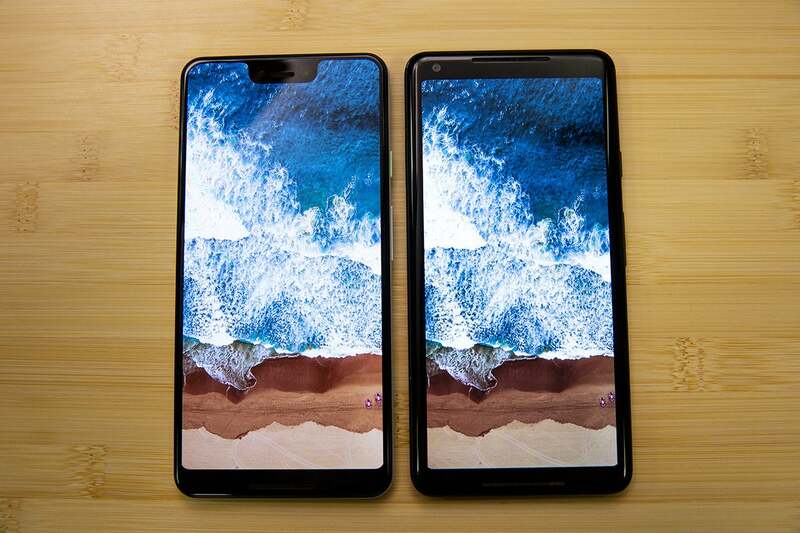 On the Pixel phone, features like Active Edge (a direct copy of Edge Sense on HTC’s U11 and U12 phones), and the addition of wireless charging and a second front camera have been clearly steered by HTC's team, but the relationship goes much deeper than superficial hardware enhancements. More than any other Android phone, the Pixel is filled with details that marry the hardware and software in a way that creates a seamless, congruous experience that showcases Android’s best qualities. You can see it in the new gesture navigation, the Pixel launcher, AI enhancements, and of course, the camera. Over the past few revisions, Google has designed Android with the Pixel in mind. But those interface improvements and features that have resulted in a new level of integration for Google’s operating system isn’t just limited to Google’s own phones. And that’s the hope for Wear OS now that Google has an in-house hardware team: a symbiosis the likes of which we haven’t seen from non-Apple watch. When Android Wear launched in March 2014, there was no Apple Watch. The Galaxy Gear and Samsung’s Tizen OS was still in its infancy, and the Pebble platform was little more than a glorified pager. Android Wear was was the first wrist-sized OS that attempted to strike a balance between mechanical timepieces and data-delivering smartwatches. Google hasnt done much to set Wear OS apart from its competitors. 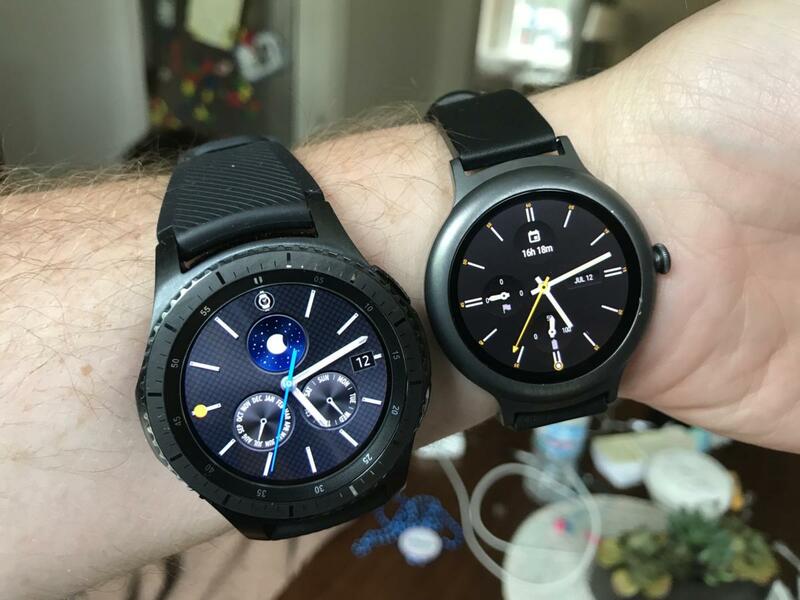 What made the first few Android Wear watches (namely the Moto 360 and the Huawei Watch) so promising was their tight relationship with Android Wear. From the classic faces to the single-button navigation, the earliest Android Wear watches were natural extensions of their smartphone counterparts, and they represented a stark difference from the bland, uninspired designs from Samsung and LG. They looked good, they worked well, and they redefined our expectations. When Apple Watch was unveiled some six months later, it only solidified Google’s vision. Where Apple’s timepiece was a piece of tech that happened to tell time, the Android Wear watches were far more traditional in both appearance and functionality, with a focus on dials and glances rather than advanced functionality. 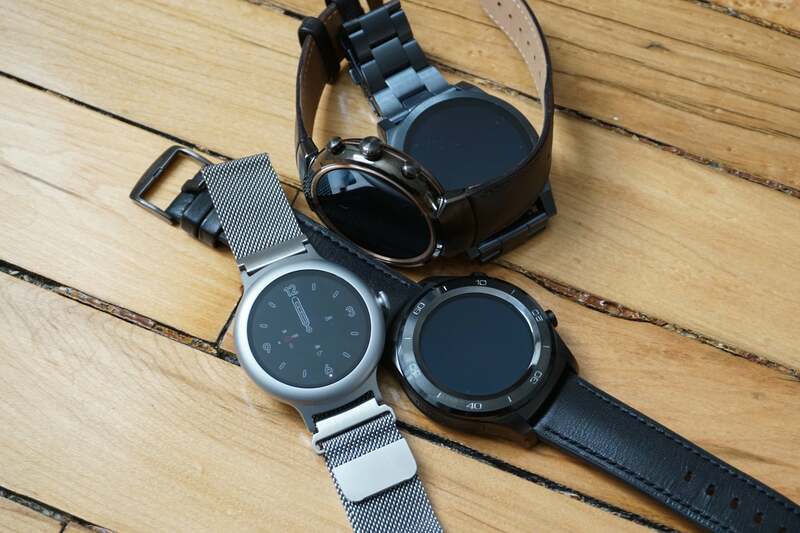 It’s why Fossil’s smartwatches have been able to thrive while the models made by smartphone OEMs havent: Android Wear/Wear OS watches appeal to people who want a smarter watch, not necessarily a smartwatch. Google could have bought any smartwatch team, but the chose Fossil for a simple reason: Google doesn't want to fill Wear OS with apps and features no one uses. It wants Wear OS to be as simple and interaction-less as possible. You’ve probably seen one of Fossil’s Wear OS watches in the wild without even realizing it. For one, they look like old-fashioned wristwatches from a distance, but what’s more is that they follow the design language of the brands they’re representing: Michael Kors, Kate Spade, Armani, Diesel, and of course, Fossil itself. Some are hybrids with mechanical arms and tiny screens, others are full smartwatches with always-on displays and endless customization. 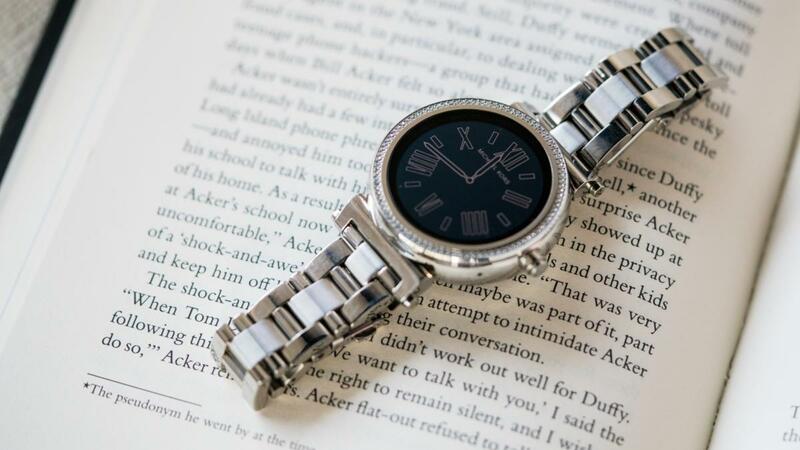 Fossil’s wearables, such as the Michael Kors Sofie watch, put form before function. What they all have in common, however, is that the smarts are mostly focused around the important feature of any watch: the face. Many Fossil watches eschew common features such as heart-rate sensors and NFC chips in favor of designs that are both familiar and fashionable. While plenty of Wear OS watches that try to cram as many sensors as possible into bigger and bigger frames, Fossil is less interested in do-it-all devices than it is in exploring the simpler watch aspects of the smartwatch. And Google could use that strategy to tighten and focus Wear OS in the key areas that matter: fitness, health, and, most of all, timekeeping. By investing in Fossil, Google isn’t trying to replicate the Apple Watch’s success. Rather, it’s recognizing that smartwatches don’t need to be a sprint to the top of the features heap. There are plenty of people that are interested in smartwatches for simple functionality and smart integration rather than a pile of features, and that's where Fossil can help. Google has already indicated that it’s more interested in developing Wear OS to work better with its partner brands than developing it’s own hardware, and a move away from the idea of a “one-size-fits-all watch.” The Fossil partnership solidifies that line of thinking and gives Wear OS a potential and future it hasn’t had in years. With Fossil as a guide, the next phase of Wear OS should be less about taps and apps, and more about building a simpler software experience that requires less interaction. As it stands, Android Wear and Wear OS has always been an interface in search of the right hardware. The hope now is that Google can deliver a fully realized platform that can scale on demand and doesn’t try to be anything more than it has to be: a wearable people actually want to wear.